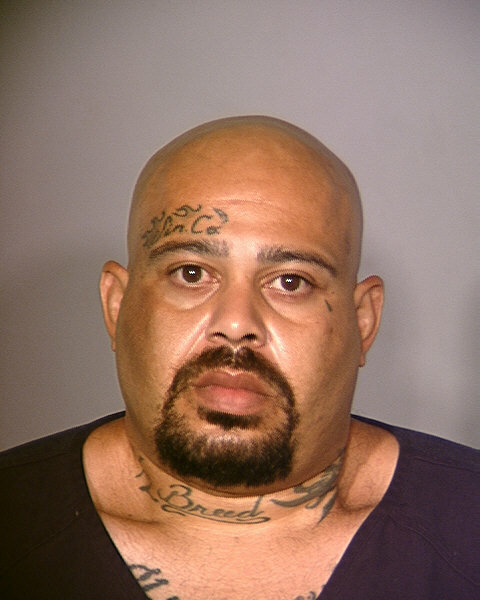 On June 26, 2010, the Duke of Fremont Street was lured into an ambush. Duke buys and sells precious metals. Duke had purchased gold from Edmond Paul Price before and agreed to meet him as before in Primm Nevada. As before he went to a hotel for the meeting with Price. When Duke arrived Price was in the company of Victoria Elizabeth Edelman. As was the practice, they went to a room to examine the goods. The door to the room was opened and Duke walked in first. After stepping across the threshold, the assault began. Without warning and from behind Duke was set upon by his attackers. He was bludgeoned and stabbed. Duke was first hit in the back of the head. Dazed by the blows he did his best to fight off his attackers. He fended off multiple stab attempt suffering defensive wounds to his hands and arms. Finally, he was overwhelmed, gagged and bound with duct tape. Duke was semi-concious and covered with blood from head to toe. When clarity started to return he realized that his attacker were in the bathroom, washing the blood off themselves and discussing how to dispose of Duke. All the blood turned out to be a blessing in disguise. The duct tape wasn't sticking together well. Duke managed to free himself, sneak out of the room, and stumble into the main lobby. On June 29, 2010, his attacker were arrested in California. They have been brought to Nevada to stand trail. Two years later and the case is still pending. Edmond Paul Price is something of a jail house lawyer. He has been in prison in California on two other occasions and is currently serving a sentence for check fraud. His conviction was appealed in California when after the fact Price claimed that he wanted to testify at his own trial and did not have the opportunity. The Appellate Court did not buy it and affirmed his conviction. He is also suing the State of California for violating his Prisoner Rights. The Grand Jury in Las Vegas indicted Price on multiple counts. The trail was delayed while again Price claimed that he wanted to testify at his indictment hearing but did not get to. Unfortunately the Nevada Court sat aside the indictment and Price was re-indicted, this time with his testimony. Trial is currently set of July 30, 2012.